TBM 900 v1.1.8 Free Update! HotStart TBM 900 v1.1.8 Update! 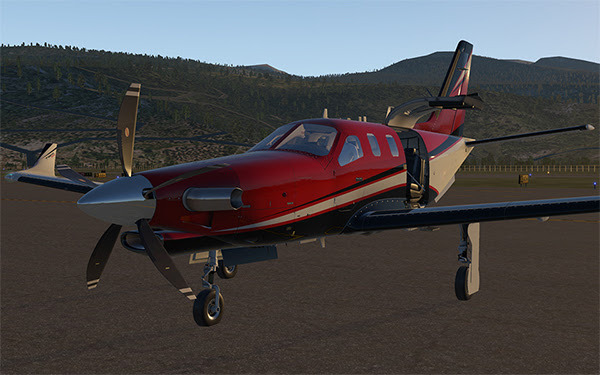 X-Aviation and HotStart are proud to announce the release of the TBM 900 v1.1.8 update. Click here and login! Simply re-download your original purchase. New and much fancier headset model. Fixed broken baro minimums entry. Tutorial arrows need to be able to render in VR. When AUX BP AUTO engages, FUEL PRESS should extinguish when the engine driven pump is operating. SVS impact rendering wasn't being drawn. SVS on AMD GPUs was not drawing the sky correctly. Increased propeller blade model twist, the old one was a bit too flat. Intercepting NAV in OBS on the outbound portion of the OBS track didn't work right. As always, thanks for purchasing from X-Aviation! We appreciate your business and look forward to serving you more in the future!